Many Alexandrians were disturbed by the announcement that the Cicurel Villa, a historical landmark of Alexandria, would be torn down – a decision that relied on the Prime Minster’s decree No 86, 2012, which stipulates “the removal of the Cicurel Villa from the city’s cultural and heritage site list”. So much so that a good portion of the city’s population went up in arms, staging marches, protests and demonstrations – many of which were coordinated by a Facebook group called “Save Alexandria” (later joined by the “We won’t let Alexandria turn into ruins” Page) which brought together young people, architects, academics and others. 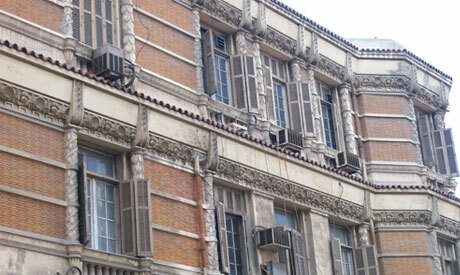 For Mohammed Abul Kheir – together with Mona Abul Kheir, Isis Khaleel , Mahinour El Masry, among the many others young Alexandrians who organised the demonstration – recalled similar architectural gems already demolished in Sporting, Gleem, Mustafa Kamel and other neighbourhoods of the city. Last Thursday, Prime Minister Kamal El Ganzoury revoked the decree in decree, No 488/2012, saving the Cicurel Villa – a decision widely celebrated in Alexandria but by no means the end of efforts to stop contractors from turning the city into a concrete jungle. The activists’ are seeking a decree to prevent the demolition of villas even if they are not listed as heritage sites.